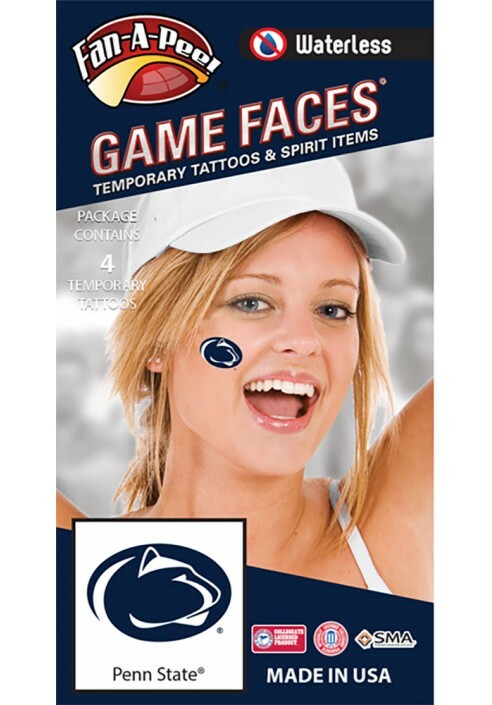 • Fan-A-Peel Game Faces temporary tattoos. 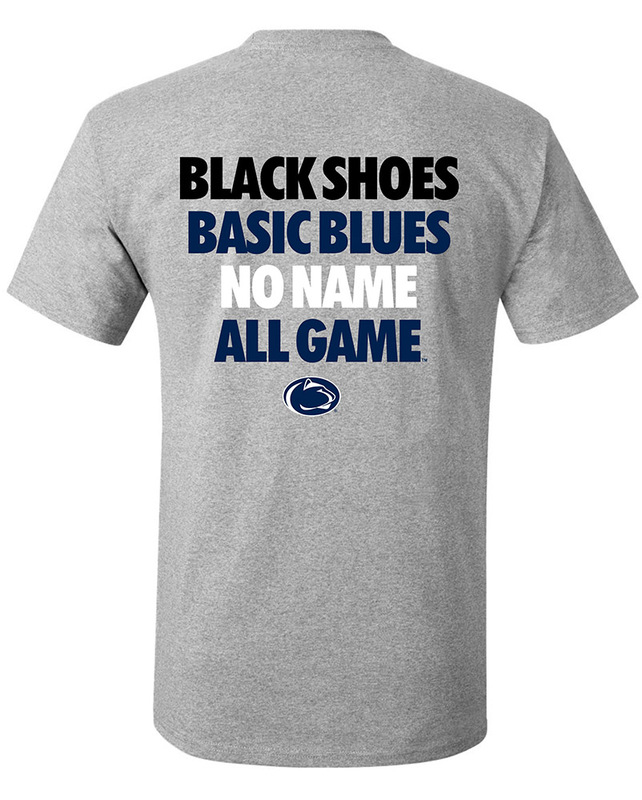 • Penn State Logo or 4-toe Paw. • Safe for use on other surfaces such as clothing, cell phones, laptops and most any surface. • 3M Hypoallergenic medical tape and our tattoos do not require any water to apply or alcohol to remove. • Each package contains 4 Peel & Stick Tattoos. • Each tattoos is approximately 1″ x 1″.